We’re not saying you shouldn’t enjoy a chocolate Easter egg or two this season or treat yourself to a fresh hot cross bun if the craving strikes. But, for the sake of your teeth (and your overall health), it is always a good idea to limit your intake of sugary foods and drinks. It’s no secret that sugar has a range of harmful side-effects, and that it is one of the main causes of tooth decay. But do you know exactly what it does inside your mouth? We take a look at the effects of sugar on your dental health, and what you can do to avoid cavities. A cavity is essentially a hole that develops in a tooth as a result of tooth decay. While your mouth is full of bacteria, only some types are actually harmful. When these harmful bacteria encounter and absorb sugar, they produce acid, which can cause your enamel to deteriorate. When the enamel is weakened, cavities often form. Some common symptoms of cavities include pain and sensitivity, particularly if they have spread into the deep layers of the tooth. Sugar actually attracts harmful bacteria in the mouth. When bad bacteria digest the sugar in your mouth, dental plaque develops on the surface of the teeth. If you don’t wash this plaque away properly, your mouth tends to become more acidic than usual. This acid then eats away at the enamel of your teeth, causing decay and cavities. The best bet is to limit your intake of snacks and drinks that are both sugary and acidic. If you’re reaching for a snack, opt for something fresh and unprocessed, like fruits and vegetables, or try a calcium-rich dairy product, rather than cookies, cakes and sweets. Try and drink water as much as possible, rather than soft drinks, which are packed with sugar. A lot of sports drinks, energy drinks and fruit juices tend to have a high level of sugar in them and can also be very acidic, which can be harmful to your dental health. Sticky foods, like hard candy and lollipops, have also been linked to tooth decay. 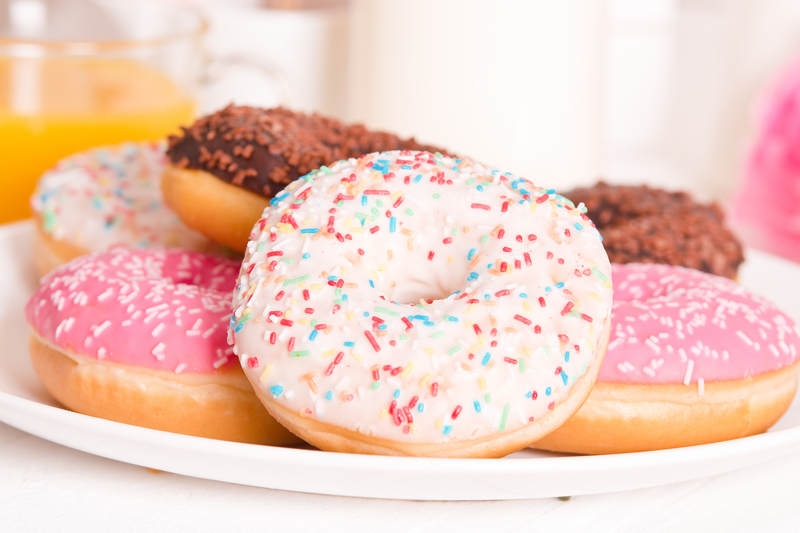 When you keep these snacks in your mouth for a long time, sugar is released in your mouth for an extended period. This, unfortunately, gives the bacteria in your mouth a lot of time to digest the sugar and form harmful acid. Starchy foods, like potato chips and biscuits that tend to stick you your teeth, also have a similar effect. As well as eating a healthy, balanced diet, a good oral hygiene routine is key when it comes to keeping cavities at bay. Don’t forget to brush your teeth at least twice a day (every morning and evening) and floss at least once a day. A good-quality mouthwash helps to rid your mouth of food particles and harmful bacteria. Stimulating the flow of saliva in your mouth is also a good idea, as this helps to prevent plaque from building up, and also coats the teeth in minerals. Get saliva flowing by snacking on raw fruits and vegetables, and chew sugar-free gum after meals. Be sure to visit Somerset Dental for a routine check-up every six months, to ensure that any issues are quickly resolved and that any abnormalities can be treated before they progress. Is it time for your routine check-up? Get in touch here to make an appointment today! If you have a general query about dental care, you are welcome to ask one of our qualified dentists and they’ll get back you as soon as possible.